Manchester United surprised their fans as they sacked Jose Mourinho from his managerial job. Manchester United announces that manager Jose Mourinho has left the club with immediate effect. The club would like to thank Jose for his work during his time at Manchester United and to wish him success in the future. A new caretaker manager will be appointed until the end of the current season while the club conducts a thorough recruitment process for a new full-time manager. The league position of Manchester United is not looking good at the moment, as the club are 6th on the table, and could miss the chance of ending the season amongst the top four teams in the Premier League this term. Now, It is up to the Manchester United players to lead their team in the right way. Jose Mourinho signed a few star players like Paul Pogba, Romelu Lukaku, Matic, Victor Lindelof and many more to Old Trafford, and they have the capability to muster a fight back, and qualify the club for next season's UCL at least. Now Manchester United have to search for a new manager, and there are a few options like Mauricio Pochettino, Antonio Conte, Diego Simeone, and Zinedine Zidane. Manchester United have hired Ole Gunnar Solskjaer as the interim replacement of Jose Mourinho until the end of the season. 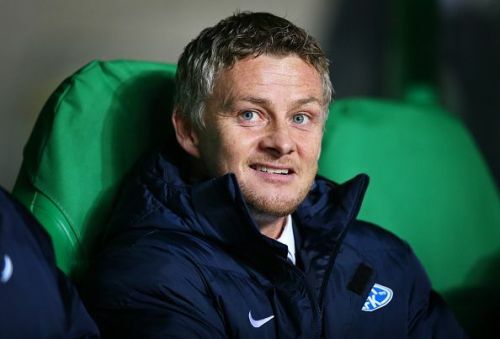 Ole Gunnar Solskjaer could save the season for Manchester United, as the Red Devils could still achieve something memorable in the FA Cup, Champions League, and the Premier League this season. Lets see some Twitter reactions as fans respond to the appointment. 1 moment we’ll never forget. 🤔 His first match as @ManUtd manager? Ole Gunnar Solskjaer is one! But can you name the #mufc team that won the 1999 Champions League final.